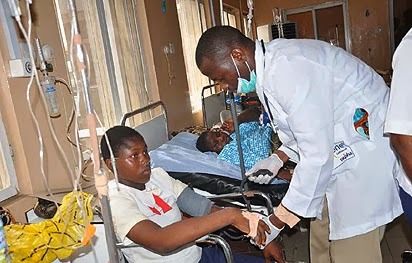 13 students of Ogba Junior Grammah School, Ogba, in Ojodu Lagos collapsed yesterday March 6th after inhaling an unidentified poisonous fumes discharged from one of the cottage factories in Ogba Shopping Arcade, Vanguard reports. This came four months after 25 of the students of the same school collapsed after inhaling an unidentified chemical waste discharged into drainage by a Photo Laboratory, situated in the Shopping Arcade. When Vanguard visited the school, the management and staff were wondering which company would have discharged such hazardous fumes this time around. Also, our correspondent observed that parents of the students raced to the scene to verify the condition of their children. While those whose children weren’t affected by the emission rushed them back home, some were also sighted wailing over the ugly incident. The incidents was said to have occurred at about 12:40 pm while the students were still in their classes. Vanguard gathered that the leak of the dangerous gas was least expected as it enveloped the premises making the victims unconscious. 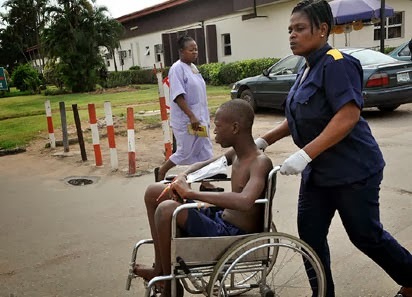 Officials of the National Emergency management Agency, NEMA and its Lagos state counterpart, LASEMA and the Lagos State Environmental Health Monitoring Unit, SEHMU arrived the scene and rushed the unconscious victims to the Lagos State University Teaching Hospital, LASUTH, Ikeja for treatment. Of the 13 affected students, one was a male while the rest were females. Vanguard investigation revealed that one of the students was in critical condition and has been admitted at the Intensive Care Unit. 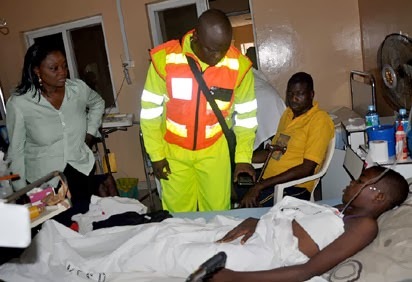 Some of the affected students were: Tijani Mariam, Subaidat Oladokun, Adebiyi Taiwo, Muiz Rodiat, Ogunbami Omolade, Onaigbe Blessing, Karimat Akiode, Rasak Gbolahan and Modupe Idowu.